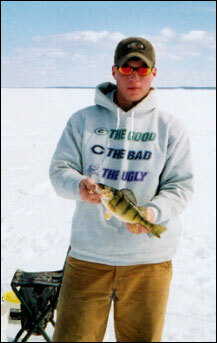 When most anglers think of great Minnesota ice fishing their thoughts immediately turn to Lake Winnibigoshish. And there's no better place to go for a Minnesota ice fishing trip than McArdle's Resort on Lake Winnie. 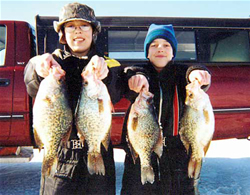 Lake Winnie ice fishing offers anglers the opportunity to capitalize on one of Minnesota's best fisheries. 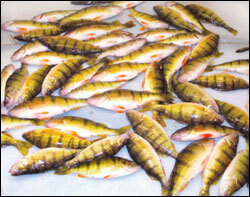 Jumbo perch, northern pike and walleye are plentiful in Lake Winnibigoshish. It is important to note that in support of its lake management plan for Lake Winnie, the DNR has enacted a special regulation on Winnie's walleye. Anglers must immediately release any walleye measuring between 17" and 26" and may be in possession of only one walleye over 26." 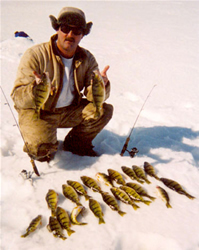 Anglers may still legally fish for jumbo perch, crappie and panfish through ice out. All fish houses are non-sleeping units. Day rental only. Dark houses, fish houses, and shelters must be off the ice no later than midnight for each of the dates given in the following categories below. Fish houses or shelters on waters north of the line* may remain on the ice between midnight and one hour before sunrise only when occupied or attended. 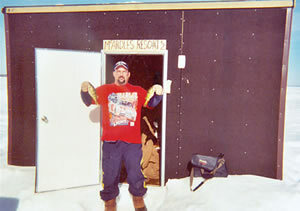 Ice fishermen staying at McArdle's Resort find affordable accommodations and easy access to Lake Winnie in the winter. Our eight winterized cabins are warm and comfortable during icy northern Minnesota winters. Access to Lake Winnie is easy with our plowed roads and we offer other convenient amenities like fish house rentals, heated fish cleaning house and even a fish cleaning service if you'd rather have us clean your catch! Our Lodge is open in the winter offering Satellite TV, video games, pool table, snack bar, fishing licenses, tackle and bait. The Brown family has been catering to ice fishermen for many years on Lake Winnie - making us experts at providing Minnesota ice fishing vacations. 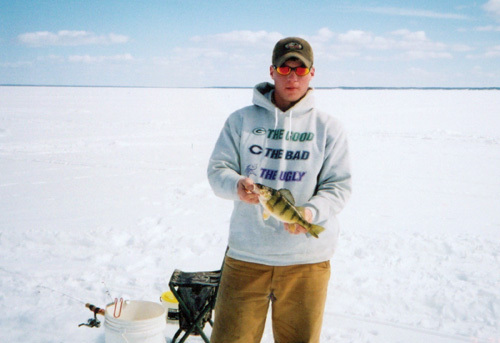 Call us today at 1-800-535-2398 to find out why we are the premier Lake Winnie ice fishing resort!